I am going to interrupt my regular letter for a few pages, as the events in Turkey in the last 24 hours compel me to offer a few thoughts. Fortunately for you, patient reader, rather than getting my own less-than-expert analysis, you will have that of George and Meredith Friedman, members of the Mauldin Economics team who have been doing geopolitical analysis for 40 years and who have serious connections in Turkey. We will open this week’s letter by looking at George’s brief take of the actual meaning of what is going on in Turkey, as events continue to play out there. Military coups were fairly common in the world thirty or forty years ago. Turkey itself last had a coup in 1980. Having a full-dress coup, with tanks in the streets and government buildings under attack, seemed archaic. Yet here it was. For us, it was a complete surprise. True, the Army was Turkey’s institutional guarantee of secularism. Kemal Ataturk’s post-World War I revolution was dedicated to secularism, to the point that head scarves on Muslim women were banned for decades. When the AKP, Recep Erdogan’s party, won the election of 2003 and pledged to speak for devout Muslims’ interests, a clash with the Army was inevitable. Erdogan managed this challenge with surprising skill and even ease. He first blocked and then broke the Army’s power. In spite of grumblings, and some arrests over coups that never quite happened, Erdogan made the military subordinate to his wishes. Yet here were tanks in the street. Somehow, certainly out of our sight – and out of the sight of people who now say they always knew it was coming – a coup had been organized. Organizing a coup is not easy. It has to be carefully planned many weeks before. Many thousands of troops, as well as tanks, helicopters, and all the rest, must suddenly and decisively appear in the streets and take over. And all of this planning has to take place in complete secrecy, because without the element of surprise there is no coup. A few hours after the coup began, troops loyal to the coup makers entered some television studios and newspaper offices and had broadcasters announce that a coup had taken place and that the traditional secular principles of Kemal Ataturk had been restored. Since we had been told by our sources that the coup was being run by very senior officers (though not the chief of staff), it appeared to us that it had succeeded. Erdogan was being held in a resort town, apparently unable to return to Istanbul or Ankara, as airports were held by the military. The communication centers had been secured. There were even troops in Taksim Square, the major gathering place in Istanbul, which meant the city was saturated. The coup looked as if it was nearing its end. Then suddenly everything changed. Erdogan started making statements via FaceTime on Turkish TV NTV. Well, instead of Erdogan’s being arrested, as we’d been led to believe, maybe it was just that troops were outside his hotel, and he was still free enough to do this. Sloppy work on the part of the coup. Then Erdogan got on a plane and flew in to Istanbul’s Ataturk Airport, which had reportedly been secured by the military conducting the coup. Again, sloppy work. It was clear that Erdogan was free, because he was making threats. Then we got reports of Turkish troops surrendering to policeman in Taksim Square, and the bridges that had been closed were abandoned by troops and reopened. Erdogan ordered loyal F-16s to shoot down helicopters attacking the parliament building in Ankara. It is time for “tin foil.” We could speculate that Erdogan wanted the coup. He knew he could defeat it, and the attempt now gives him the justification to utterly purge the army. Perhaps he went to Marmaris for his own security. Then, as I write this, there are reports from the Greek military that a Turkish frigate was seized by Turkish troops opposed to Erdogan, that the Turkish Navy’s commanding officer was being held hostage, and that Erdogan had sent a text urging all Turks into the streets. The coup is either over, or it’s not. The coup planners either evaded detection, or they were allowed to walk into Erdogan’s trap. All that will become clearer in the next few hours. I write this Saturday morning, and John will send it out a few hours later to you as part of his letter. These religious minorities of Anatolia had been marginalized since World War I. Erdogan came to power intending to build a new Turkey. He understood that the Islamic world had changed, that Islam was rising, and that Turkey could not simply remain a secular power. He understood that domestically and in terms of foreign policy. There have been persistent reports that Turkey is at least allowing IS to use its financial system, selling its oil in Turkey, and moving its people through Turkey. Erdogan has been, until recently, reluctant to attack them. He shifted his strategy in recent months, resulting in IS attacks on Turkey, apparently in retaliation. That might be okay if their policies made sense, but abundant evidence says they do not. Overreliance on low interest rates to stimulate growth led our central bankers to zero interest rates. Failure of zero rates led them to negative rates. Now negative rates aren’t working, so their ploy is to go even more negative and throw massive quantitative easing and deficit financing at the balky global economy. Paul Krugman is beating the drum for more radical Keynesianism as loudly as anyone. He has a legion of followers. Unfortunately, they are in control in the halls of monetary policy power. The immediate Brexit shock is passing, for now, but Europe is still a minefield. The Italian bank situation threatens to blow up into another angry stand-off like Greece, with much larger amounts at stake. The European Central Bank’s grand plans have not brought Southern Europe back from depression-like conditions. I cannot state this strongly enough: Italy is dramatically important, and it is on the brink of a radical break with European Union policy that will cascade into countries all over Europe and see them going their own way with regard to their banking systems. Italian politicians cannot allow Italian citizens to lose hundreds of billions, if not trillions, of euros to bank “bail-ins.” Such losses would be an utter disaster for Italy, resulting in a deflationary depression not unlike Greece’s. Of course, for the Italians to bail out their own banks, they will have to run their debt-to-GDP ratio up to levels that look like Greece’s. Will the ECB step in and buy Italy’s debt and keep their rates within reason? Before or after Italy violates ECB and EU policy? In the spirit of prudent planning we always try to look at what options we would have available to us, either if we needed to tighten policy more rapidly than we expect or the opposite. So we would take a look at [negative rates]. The legal issues I'm not prepared to tell you have been thoroughly examined at this point. I am not aware of anything that would prevent [the Fed from taking interest rates into negative territory]. But I am saying we have not fully investigated the legal issues. A prime reason the next recession will be severe is that we never truly recovered from the last one. 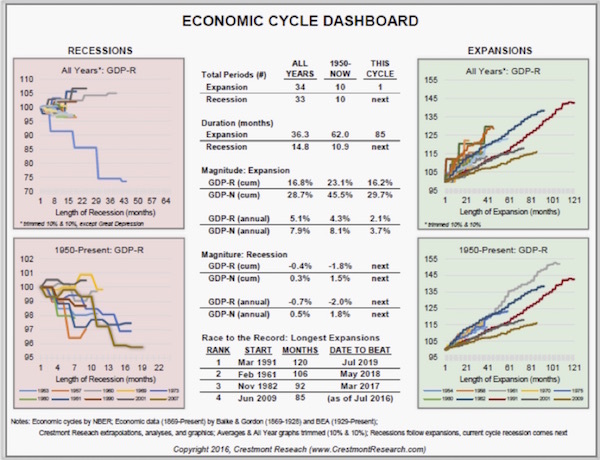 My friend Ed Easterling of Crestmont Research just updated his Economic Cycle Dashboard and sent me a personal email with some of his thoughts. Here is his chart (click on it to see a larger version). The current expansion is the fourth-longest one since 1954 but also the weakest one. Since 1950, average annual GDP growth in recovery periods has been 4.3%. This time around, average GDP growth has been only 2.1% for the seven years following the Great Recession. That means the economy has grown a mere 16% during this so-called “recovery” (a term Ed says he plans to avoid in the future). 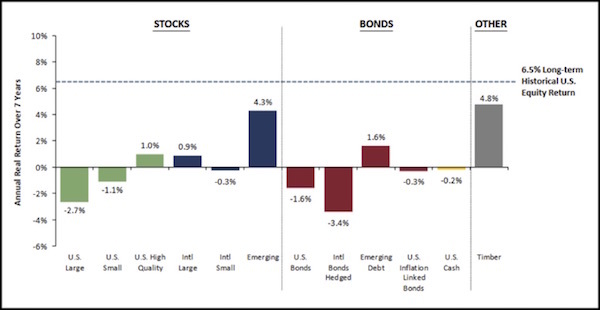 The Fed’s fantasies notwithstanding, NIRP is not conducive to “normal” returns in any asset class. GMO says the best bets are emerging-market stocks and timber. Those also happen to be thin markets that everyone can’t hold at once. So, prepare to be stuck. Bill and I seemed to recognize the country boy in each other and hit it off, and we’ve been fast friends ever since. Thirty-four years later, Bill hasn’t changed all that much from the wrong-side-of-the-tobacco-farm guy from rural Maryland that he was back then – except for the missing hair. I travel from time to time to one of the homes he has scattered around the world. He has châteaus in France and haciendas in Argentina, beach homes in Nicaragua, etc. – it sounds more exotic than it really is. He grew up as an all-purpose fix-it guy, not unlike your humble analyst. He differs from me, however, in that he actually still likes to do all that hands-on stuff; so when he buys a château, what it really is, is a monstrous money pit where he tries to do as much of the fix-it work as he can with his own two hands. Ten or fifteen years later, he really has a nice place. And it was good training for his six kids, as he made them work during the summers, stripping paint, pulling wires, building stone walls, planting trees, and doing all the little things you have to do when you have a pile of rocks that once upon a time was a magnificent dwelling. Not exactly the life I would want to live if I were a gazillionaire, but good work if you can get it. Bill may be the best storyteller that I know. That is different from being a good writer. Writers convey information. Storytellers may also convey information, but the package they put around the information is engaging and makes you think. A well-told story around the information allows you to internalize it more easily. We are genetically hardwired to appreciate a good story. We evolved from human beings who spent a lot of time around the campfire, swapping stories. Learning to live in groups and work together is a big part of why our species flourished, and it seems that people who enjoyed a good story survived and passed that predilection on to their descendants, over many thousands of generations. July 17, 2016, 12:26 p.m.
I’ll take the position that central banks are not the problem at all, but what they are doing is to try and mitigate the bad behavior caused by the supply side economy for the last 30-40 years. Hopefully, the supply side experiment has reached its death and we no longer exist to feed the corporate beast(since it should be the other ay around). The actual problem is a concentration of wealth with the top 10% of the population from this experiment, and the resultant decline in the velocity of money over the last 20 years or so. The fix is how clever these 10% are to reallocate their wealth before we have another downturn, because most of them will lose their shirt otherwise (burden of wealth). Capital investments are the only safe way to make large commitments in the current environment. It is a way to prepare for an eventual recovery. There are numerous etfs and mutual funds to do this. I have put a small amount into cement (CX and VMC on the recent pullback, but there are others like MLM). I am a small individual investor so my opinions are not necessarily good advice. July 17, 2016, 10:31 a.m.
John, funny you should mention coups and central banks. We, the people of the world, are the victims of a coup by central banks taking over the world with counterfeit currency. Bankers charge 4% but collect 40% in leveraged fractional reserve banking. Those who charge 24% credit card interest collect 240%. If this math continues bankers will own all the world as the Egyptian priests owned all of Egypt when Amonhotep IV revolted and moved the Capitol city to Armana and changed his name to Ankenaten, founded a new God, a Monotheistic God, copied by the Hebrews, worshipped to this day. We are in a coup that began in 1913 with the US Central Bank, World War One, Roaring Twenties, Great Depression, World War Two, predicted after World War One, and the Cold War raging now with counterfeit currency. Black Lives Matter is part of this coup. We are in a coup of counterfeit currency where the central banks have overthrown the sovereign nations by counterfeiting our currency. In real money, US Silver Dollars the Dow was 950 silver dollars in 1966 and still is 950 silver dollars fifty years later. 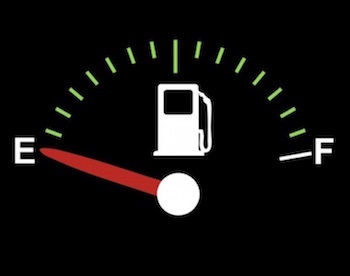 Gasoline was three silver times in 1966 and is TWO silver dimes in 2016, down 30%. 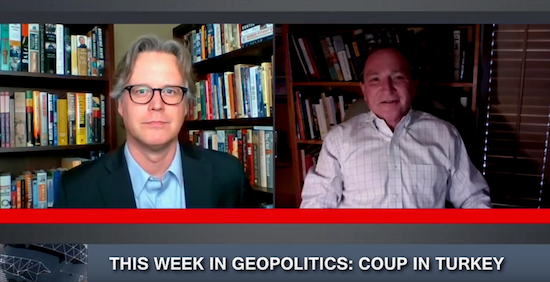 The central bankers have staged a coup and taken over the sovereign nations. The USA runs a $1 Trillion deficit each year, living on the credit card. Bad idea. US Public debt was $300 Billion in 1966, now $20 TRILLION, run by central banks. The problem is money, currency, the score, grows exponentially and will collapse, the question is when. I would suggest all your readers keep 10% of their net worth in gold bullion, held in hand. Why? The central banks hold gold bullion as money and nothing else. We are in trouble. Central bankers staged a coup in 1913, then in 1933, gold gone, and 1964, silver gone, then 1971, gold exchange gone. No one elected them. No one controls them. This is why we got a Bernie Sanders and Donald Trump. Keep it up and we will get an Adolph Hitler. I hope someone can straighten out the mess. We are in deep trouble and a massive reset is going to occur. It’s always better to die tomorrow then today so everyone is kicking the can as long as possible. Protect yourself. No one else can or will.